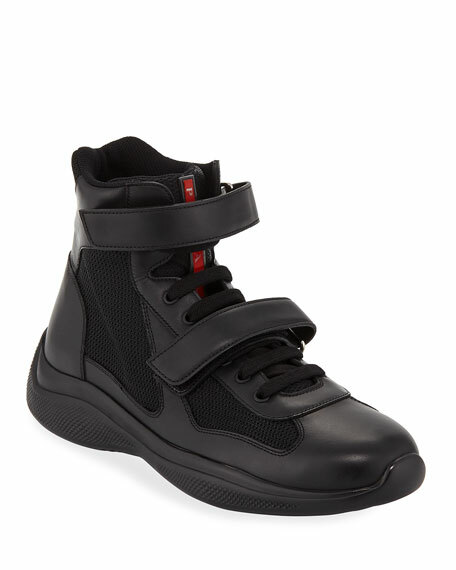 Prada high-top sneaker in nylon and smooth leather. 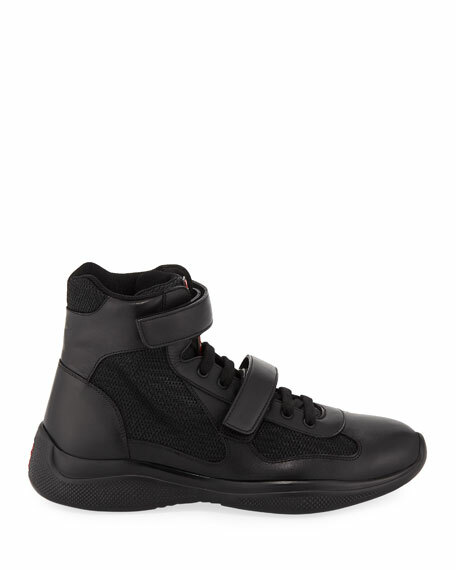 Grip straps at vamp and ankle. Leather and rubber heel counter. Textured rubber outsole provides traction.